Today is the traditional Japanese day of Seijin no Hi (成人の日, or Coming of Age Day to us English speakers. It celebrated by those who have turned 20, marking the transition of young Japanese people into adulthood. Seijin no Hi is celebrated on the second Monday of January and is held in order to celebrate and encourage those who have reached the age of adulthood over the past year and up to this April 1st. The day is in part meant to help them realize that they have become legal adults with added rights and responsibilities. 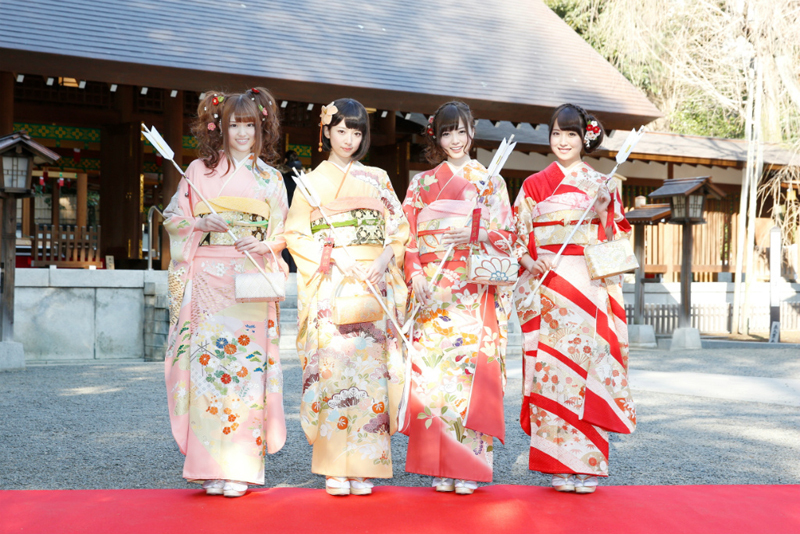 Kamei Eri (formerly of Morning Musume) wearing a furisode style kimono. Coming of Age ceremonies are commonly held at various local government offices with speeches of encouragement by community leaders. The ceremonies can be elaborate affairs with many women wearing traditional Japanese clothing such as kimono or furisode and men wearing kimono or hakama to mark the occasion. Here’s a look at several of our favorite artists and models that have previously celebrated their Coming of Age days. SCANDAL members HARUNA and MAMI wearing kimono. 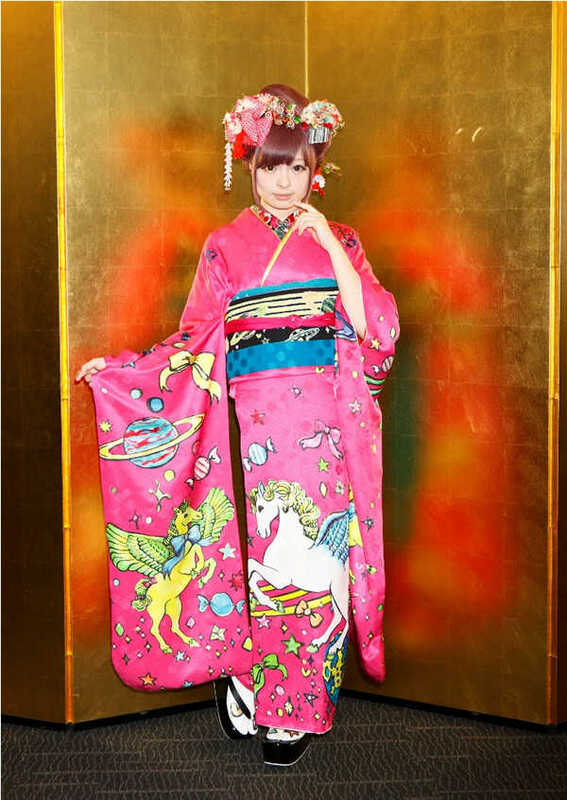 Kyary Pamyu Pamyu wearing her Coming of Age Day furisode. Model Katou Mari wearing a furisode. Model Katou Mari wearing a kimono. Model Tatsumi Natsuko wearing a kimono. Tagged Coming of Age Day, furisode, hakama, Kamei Eri, Katou Mari, kimono, KPP, Kyary Pamyu Pamyu, Nogizaka 46, SCANDAL, Seijin no Hi, Tatsumi Natsuko.